Return Of The Little Squirrels! 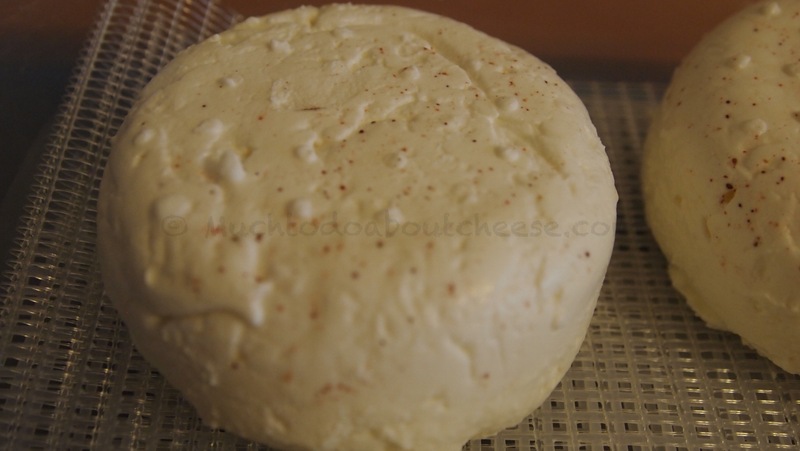 A while back I mentioned that I thought I had finally cracked the recipe for my Little Squirrels, a semi lactic bloomy rind made from cows milk. It was time to try again, but being me, I wanted to tweak the formula. I kept the basic formula, but this time I upped the fat content. Last time I used 4 litres of skim milk and 500 millilitres of heavy cream, this time the cream stayed the same but I used 4 litres of 2% milk as the base. I am not sure but I think this makes the cheese in the double cream range or at least 1.5. At this point I was toying with the idea of using PLA instead of Geo 17 as the mould source. I had both PLA and Geo 17, but which one would I use? In the end I chose to use Geo 17 rather than the PLA or a mixture of the two, I wanted the brainy goodness that the Geo would bring to the party, but without the funk that the PLA would bring. The Geo 17 was mixed in with the starter culture. 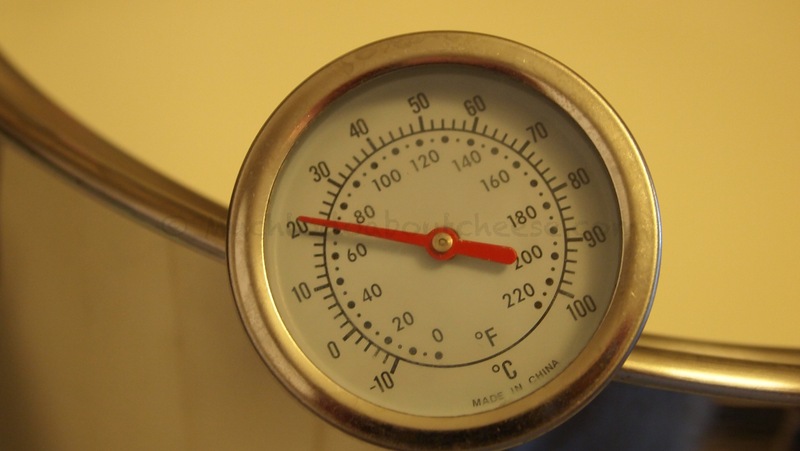 It seemed like heating the milk to forever. 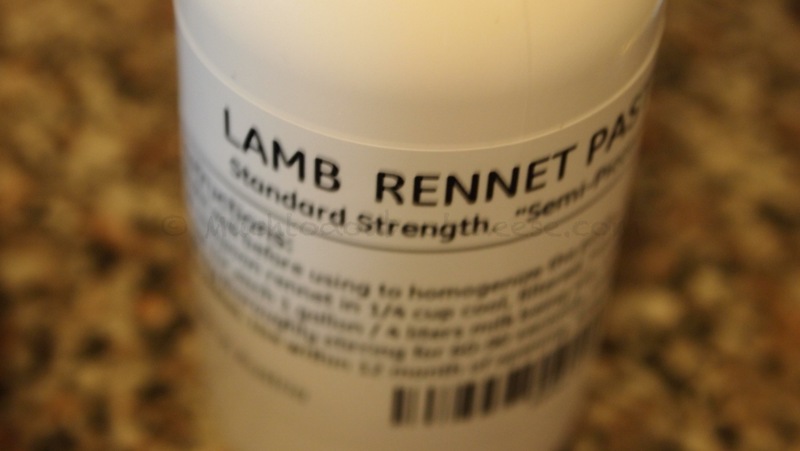 I like the results I get from the Lamb Rennet Paste, it was nice to have a new bottle of it. Once the milk was at temperature I added the cultures and mixed them in, then I added the rennet. 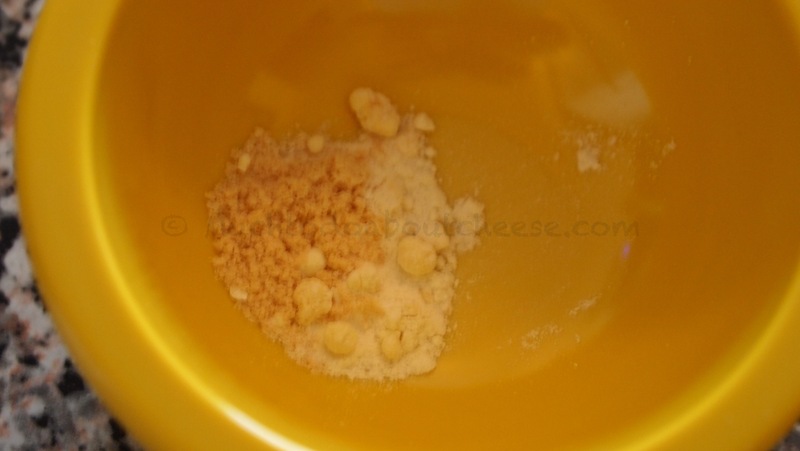 After it had been mixed in I put the lid on the pot and put it on top of the fridge to let it sit for 24 hours. My house is relatively warm, but the results seem to show I should have found a better spot. 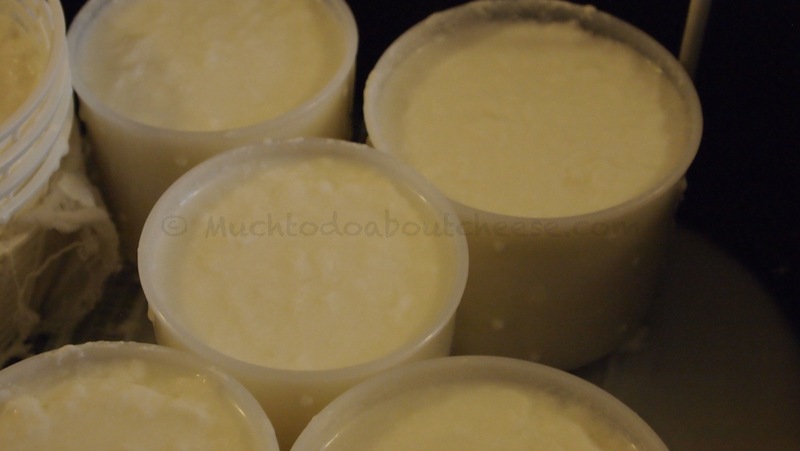 The curd seemed solid enough to begin scooping it into the moulds. I used my handy-dandy ice cream scoop again, it seems to do the trick. 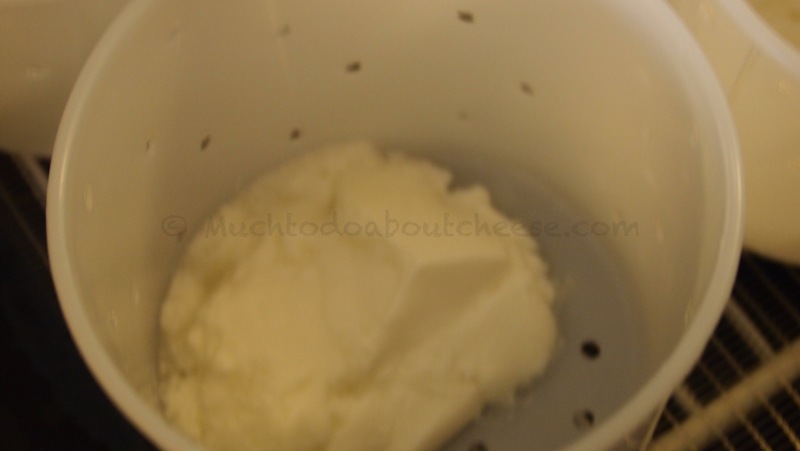 There was a clear separation of curds and whey. 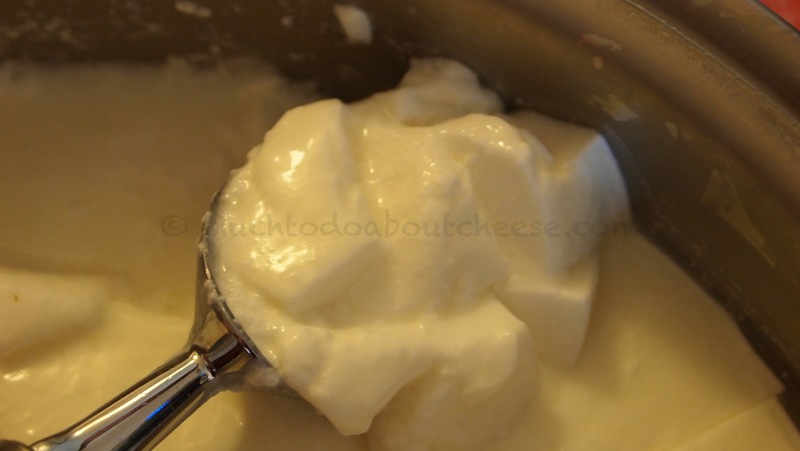 I scooped a little curd to see if it would hold up. The first few scoops were great! Here is the ice cream scoop in action. 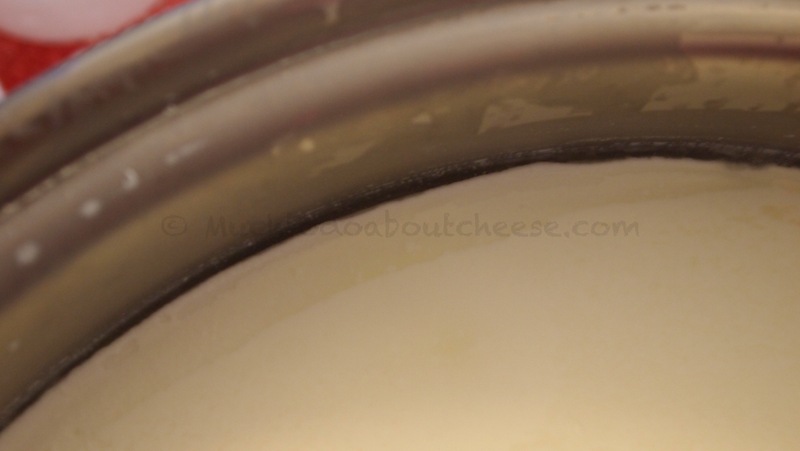 The upper part of the curd column was perfect, but the further I got down into the pot, the “soupier” the curd became. I did manage to salvage as much as I could. 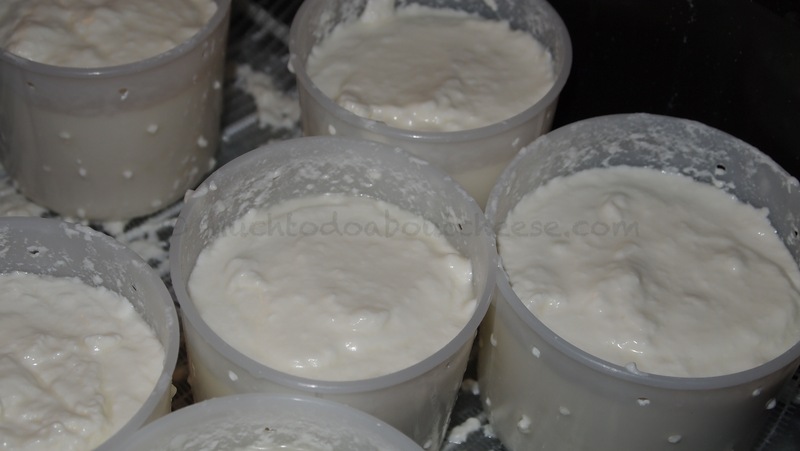 I even broke out my ricotta baskets lined with cheese cloth and retrieved more curd that way too. I used a ladle for the last bit of curds. After 4 hours of draining it was not ready for flipping. I turned on the curd draining mood lighting and went to bed. Then next morning after 12 hours of draining, they were finally ready to be flipped. I flipped all 6 of them and salted the “tops” and left them to drain for 12 more hours. After 24 hours of draining they were ready to be un-moulded and the new tops salted. Here they are nestled in their ripening box. I was happy with how they looked. The minerals in the natural salt leave a nice colour on the surface. 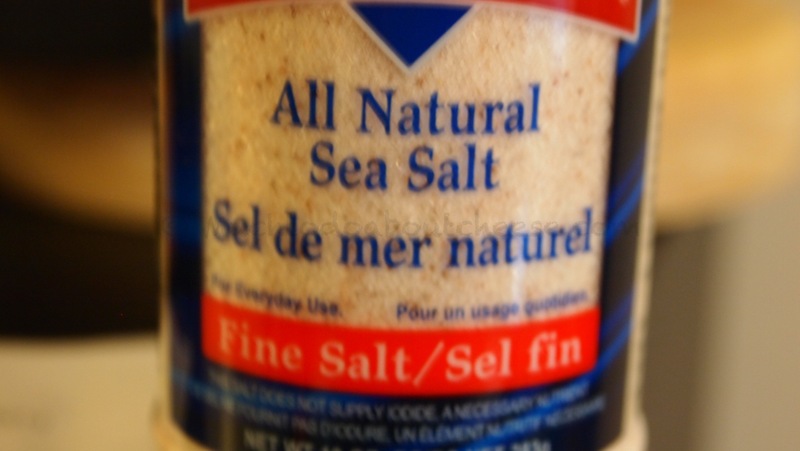 I have been asked what type of salt I use – Redmond Real Salt – All Natural Sea Salt. I love the flavour it gives. 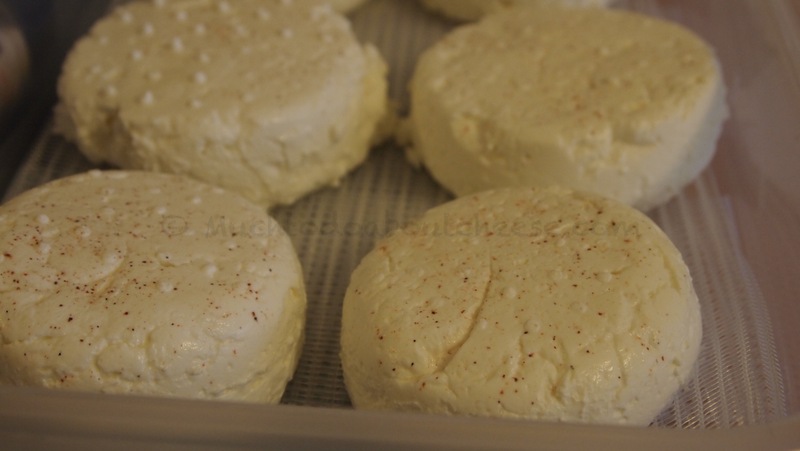 I am now on to the ripening and bloom phase of the cheese. I will take more pictures and post again in the next week or so. 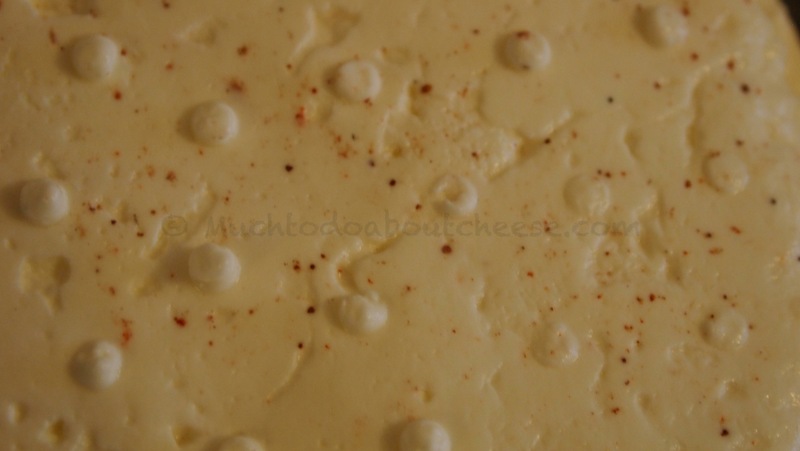 It was great to make some cheese even if it was just a semi lactic “set and forget” I have been so busy with teaching and writing the book that I have not had time to make some cheese for personal use. 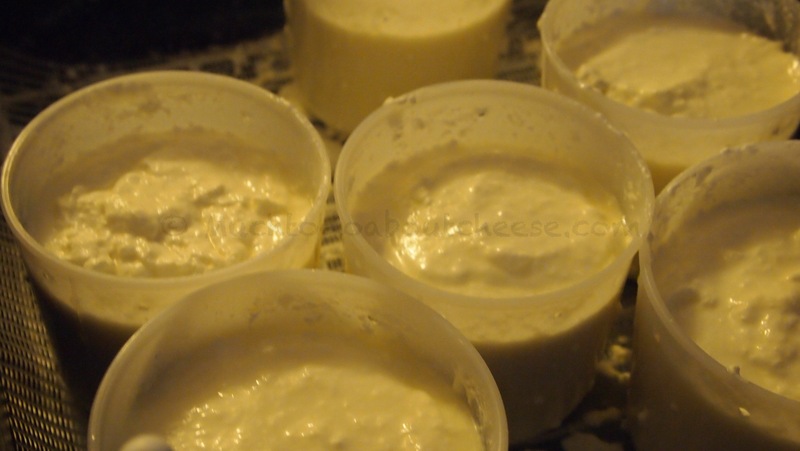 I have started to plan my cheese making for the next few months. I want to have several cheeses made before my vacation this summer. Plus I have a few cheeses that were made over a year ago that I have not written about that soon will be tasted for the first time. But for now I am happy with my Little Squirrels and I should have more pictures up on the Facebook page later this week. 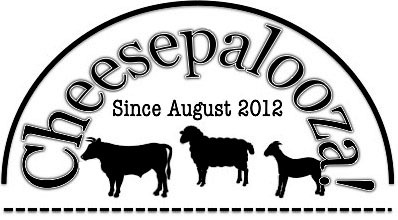 It is a long weekend here in Canada so more cheese will be made, so until next time…. ← My Wife’s Request For Fresh Feta. 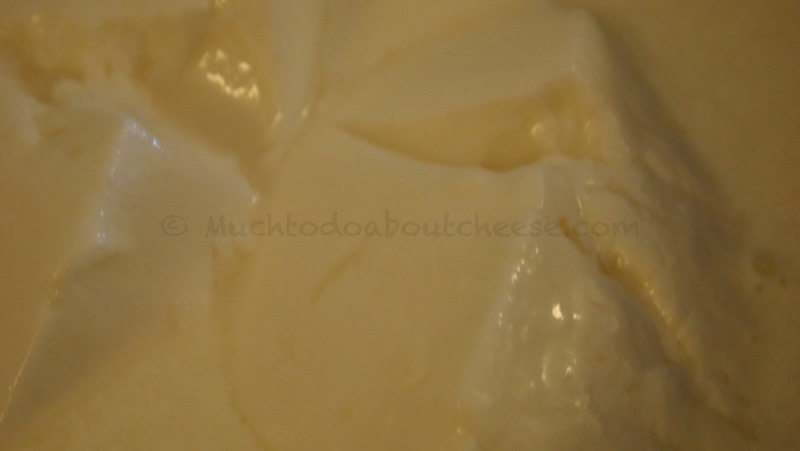 From the pic of your geo/culture mix I can almost guess your “recipe” ;-)… Anyway, you might consider using PC and Geo (13 or 17) – the mix does well to develop a good skin and allow for a good soft paste to develop per the cheeseforum experts and my own experience. IMHO the PLA is good for a wash (or spray on) when you want the red/orange Brevibacterium linens. I use the same salt here for everything but cheese – now you got me thinking. As for keeping some “personal use” cheese, this has gotten me labeled as a liar and selfish ??%$#. I have to be less than honest when I want to keep a wheel for myself or my friends and neighbors will take all I have! I have tried using ARN as the mould it gave a nice ivory colour and the geo in it help with the rind. 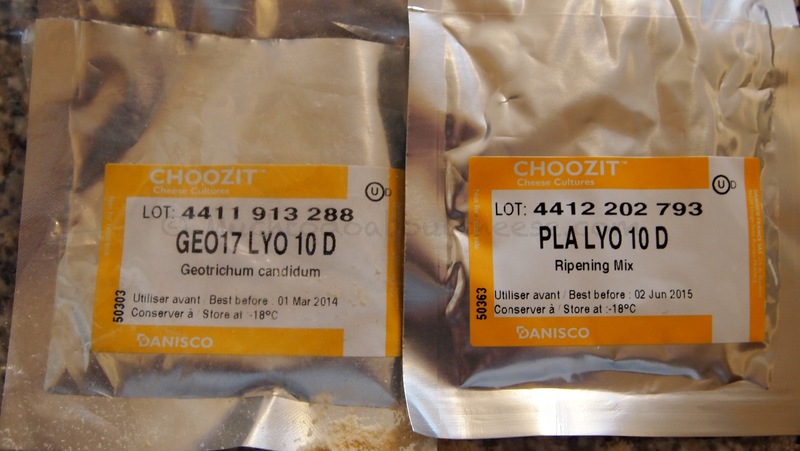 I I’d use geo 17 and Probat 222 with this batch. 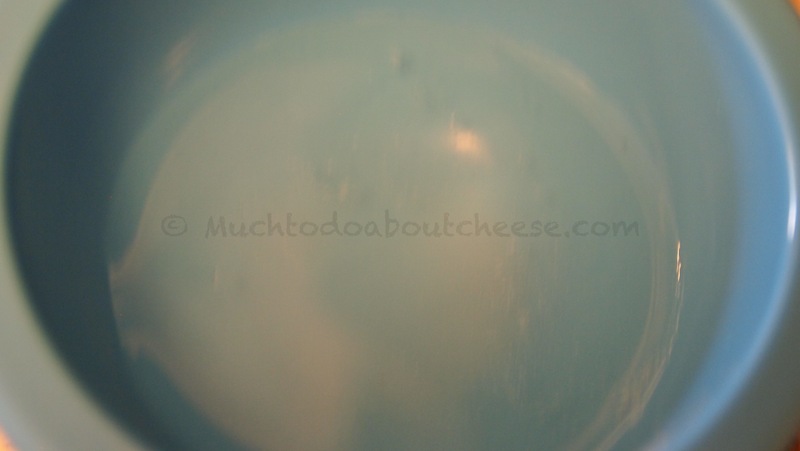 I don’t have to worry too much about holding back cheese, I have a few people waiting for samples, but it was just nice to make cheese for me rather than teaching. If I ever get licensed to sell my cheese I can see where the “personal use” could cause some issues. “Cheese on” – love it.